KATAMINO uses the natural gifts of thinking and handling of each. 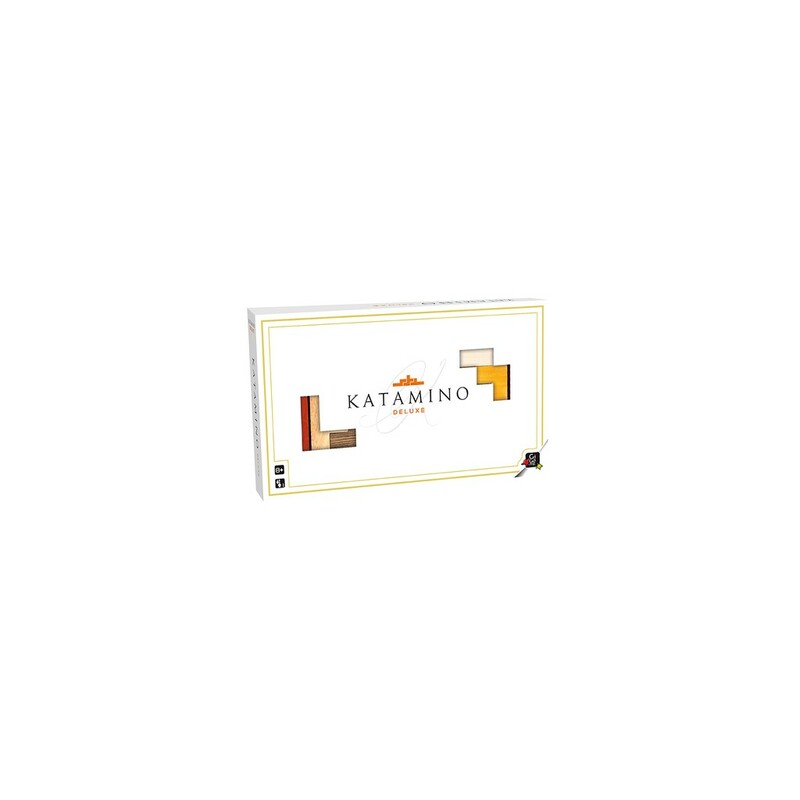 Suitable for all ages, it allows children to learn the rudiments of geometry in space, and developing logic and observation skills: KATAMINO has become a "classic" among teachers. Its many features make this puzzle attractive and exciting. Practiced alone KATAMINO is a puzzle intelligent and scalable. 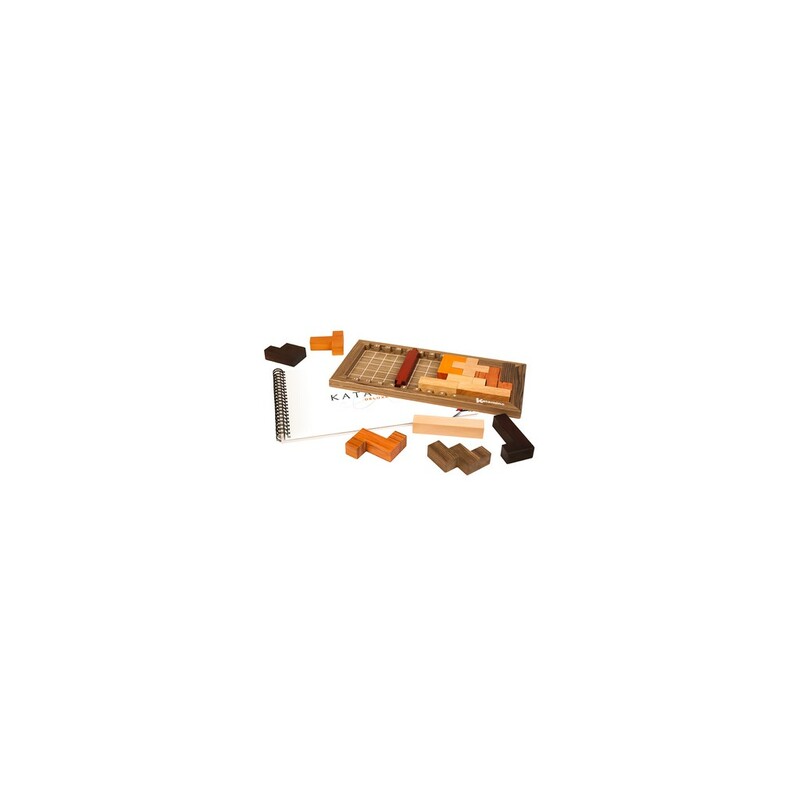 Its modular game board provides several levels of difficulty and is suitable for all. It should make perfect sets called PENTA by juxtaposing several Pentaminos on the board. The more Pentaminos used increases, the difficulty grows: the slider is positioned vertically between the numbers 4 and 5 of the plate to achieve a maximum gradient 4, then by successive displacements of the slider, it carries a maximum of PENTA 5, 6, 7, 8, 9, 10, 11 and 12. There are 36,057 combinations! - Search for 340 combinations imposed Grand Slam, the SUPER SLAM CHALLENGE and using the 3-grid arrays. - Create a number of flat figures (geometric shapes, animals and other). - With KATAMINO Deluxe or Classic, making figures in volume (parallelepiped or other). A 2 players, each place in turn one Pentamino on the board: the winner is one who, laying the last piece, the opponent is unable to play. We can also share equitably the parts and place the strip in the middle of the plateau: the winner will be one that meets as soon as possible the rectangle that is on its side with all the parts it has.